Michael Cahill will ride Say Haya for trainer Pat Duff and former jockey, owner/breeder Larry Olsen. Veteran trainer Pat Duff doesn’t have much more to achieve in his career but he would love to win with Say Haya at Eagle Farm. Duff realises Say Haya faces a tough job against some smart young horses in Saturday’s Two-Year-Old Handicap (1000m). Say Haya is raced by her breeder, retired multiple Group One winning jockey Larry Olsen whose biggest victory was in the 1987 Melbourne Cup on Kensei. Duff and Olsen combined to win a race at Ipswich with Wicked Mama last year but Say Haya would be their first metropolitan Saturday winner. “I would love to give Larry a Saturday winner as an owner and breeder,” Duff said. 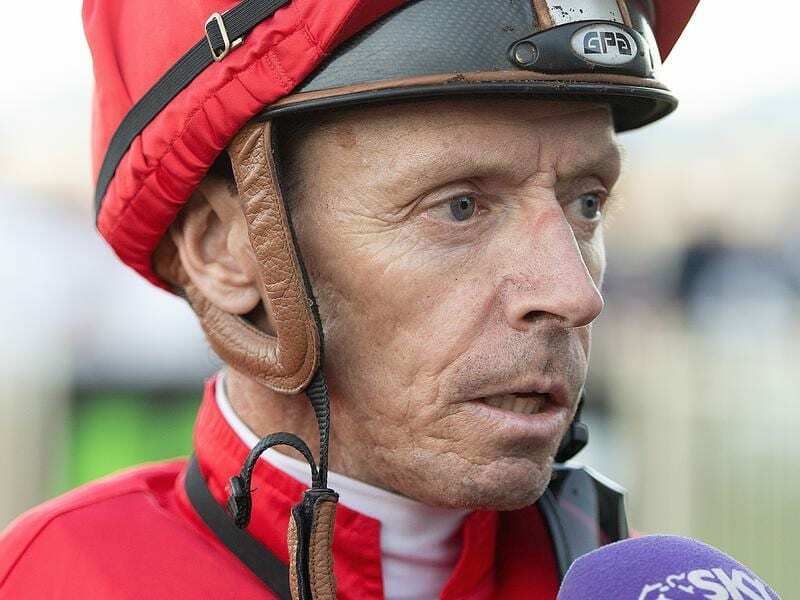 It was Duff who was one of the driving forces in helping Olsen come back from retirement to win the Melbourne Cup and 1988 Golden Slipper on Star Watch. The pair have been friends since Duff was a country trainer and Olsen an apprentice in the 1960s. “I think Larry’s first ride for me was on old Mick’s Luck when they were second in a race at Doomben in 1968. We have been friends ever since,” Duff said. Olsen raced Say Haya’s dam Unica Bahaya and has bred from her since she retired. Say Haya was second at her only start when she ran into plunge winner Combat Kid at the Sunshine Coast. “She got a long way back after being tightened at the start but she finished better than anything in the race,” Duff said. “Trevor Miller (trainer) has a big wrap on the winner and it was an above average Sunshine Coast field.